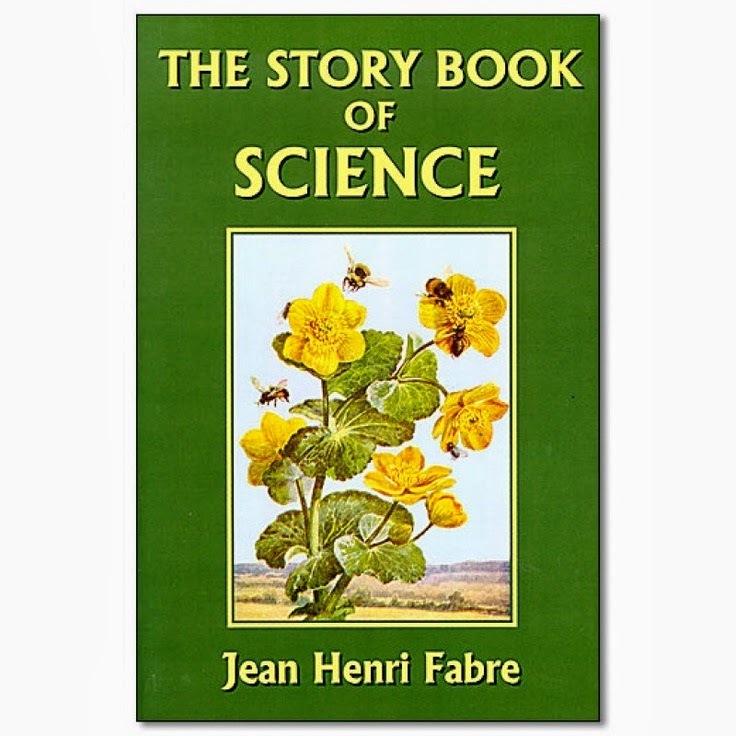 The Story Book of Science is recommended from Ambleside Online. My older children read this book on their own and wrote weekly narrations. Currently, I am using this book as a read aloud with my younger two. The written and oral narrations my older children did for this book did not give it justice. It is a wonderful book and I highly recommend children reading or listening to it. If you are looking for a book that springboards your child's interest in science, this is it. Here is a video that gives a visual for the chapter. How are kids tested and how do you and the state know how the kids are doing and when they've passed a grade? First....you will need to find out the testing requirements for your state. HSLDA has information of state laws for homeschooling. Third... a good resource for information by grade is Core Knowledge. I do not use their curriculum, but do have all their books: What Your _____ Needs to Know. I use these books as a guide and give them to my kids as free reads. These books were a help to me when my kids were in school and when we first started homeschooling. Fourth...Grades? Your child needs to have a set grade for testing purposes. According to our school system, my daughter is 2nd grade. Recently, someone asked her what grade she was in. She responded, "I don't know I'm homeschooled." Your child may be at grade level in math, at a much higher level at reading and a lower level in spelling. That is the beauty of homeschooling. You can give your child a personalized education! Previous Post: Start Homeschooling: My Kids Do Not Want To. We are studying history before the American Revolution. Normally, I post youtube videos and web sources for my children on our private blog. These links are recommended by Ambleside Onine (AO) for year 9. Start Homeschooling: My kids do not want to homeschool. The unknown can be very scary for adults as well as children. It is not uncommon for kids to be hesitate at the idea of homeschooling. Especially, if they do not have friends that are homeschooled. What is a parent to do to ease this anxiety? First, make sure you have your priorities/goals of why you are choosing homeschooling. My goal is to have children who grow up to be self-sustaining, empathetic, happy, intelligent individuals whom love to learn. I knew that homeschooling was the avenue we needed to reach that goal. Communicate with your children. It is our job to encourage, discipline, and direct our children's lives. Be honest and do not make false promises and over sell it. Show them the research you have completed on homeschooling. Let them know about homeschool groups they can join. I remember our first field trip, I asked my kids to introduce themselves to one person. They informed me they would, but they would never have any other friends unless they went to their previous private school. Guess what, they ended up making friends. Friends was the only concern my kids had about homeschooling. They really didn't care about the school part, but what about my friends. If possible continue the afterschool activities, so they are still in contact with their current friends. To prepare for your family discussion, make a list of why you want to homeschool your children. Use this to help explain why you feel homeschooling is a good choice. Be positive, honest and listen to your children and you will be off to a great start! Start Homeschooling: How will I keep kids socialized? When we started homeschooling, 4 of my 5 children were in a private school. They were involved in after school activities and always on the go. This meant I was always on the go. Socialization was a concern of mine when we made the decision to homeschool. After all, I did not want the kids to become socially awkward. In my experience the only aspect that has changed from the kids going to school is the classroom environment. The kids still have "afterschool activities" and life became easier because the homework was obsolete. They completed their school during the day and there was no homework. At first they kept their friends that were still in school. It took about a year before they began to really make new friends whom homeschooled. My kids began to be friends with their siblings friends. There was no longer a division of I'm in 3rd grade so I am only friends with other 3rd graders. It is similar to moving, you keep in touch with your really good friends and begin to gain new ones. This does take a little bit of time, unless you are extremely extrovert. Where do you begin this process of socializing your kids if you are at home homeschooling? This is the best place to start and not the only resources available for your state/location. Next post: What if my kids do not want to homeschool? Every year families are making the decision on whether they should homeschool or not. This can be a difficult, life changing decision. I think the hardest part is entering the unknown. This was one of my greatest concerns. I have not posted in a while and thought this subject would be a great way to start this planning season. I asked a friend whom is contemplating homeschooling what her top questions were. Here they are and I plan to answer these through a series of posts. How will I keep my kids socialized with other kids? What if one of my kids really doesn't want to homeschool? Can I work and homeschool? How are kids tested and how do you and the state know how the kid is doing and when they've passed a grade? What do homeschooled kids say they like most and least about being home schooled? How do you convince one unsure parent that this is a positive change? How many hours a day do you homeschool? What happens if you realize homeschooling isn't for you and/or your family? Are there any studies on home schooled children going back to public school and their transition back? Is school length determined by hours of work done or materials completed successfully? What supplies or instructional materials do I need to start? What are the different curriculum you can teach from?